The Global Oceans Commission has put forward eight proposals to reverse the decline of the global ocean, which the commission believes is at the point of collapse due to habitat destruction, loss of biodiversity, overfishing, pollution, climate change and ocean acidification. 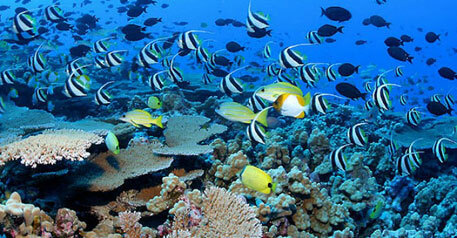 These proposals include putting the ocean at the heart of development, governing the high seas, ending harmful subsidies in seas, checking illegal, unreported and unregulated fishing, keeping plastic out of the ocean, establishing binding international safety standards and liability, monitoring progress towards a healthy ocean and creating a high seas regeneration ocean. The independent Global Ocean Commission was set up in February 2013 with one aim: “to bring the debate about the future of the high seas and the value of this immense area of our planet out from the margins of political debate and much closer to the mainstream”. The body comprises a mix of public and private sector figures, including former heads of state, government ministers and business people. Though not all of them are ocean experts, they are united in their commitment to help reverse ocean degradation and address the failures of high seas governance. The members believe their proposals sound a warning, but also offer “a politically feasible way forward”. According to the report, the vastness of the ocean came sharply into focus nearly 50 years ago, when the Apollo missions produced the first images of the blue planet from space. But the oceans remain “chronically undervalued, poorly managed and inadequately governed”. The report highlights the enormous value of the high seas to mankind. It seeks to draw the attention of the global community to the fundamental mismatch between this value and the “anachronistic way” in which the high seas are currently governed. The commission believes that the eight proposals make up an integrated rescue package, which, if implemented effectively within the next decade, can save the world’s oceans. It says that the global ocean produces almost half of all the oxygen we breathe and absorbs more than a quarter of the carbon dioxide we emit into the atmosphere. The report calls the ocean the “kidney of the planet” that keeps its systems clean and productive. The commission’s works also show that the value of the high seas is not only environmental, but economic as well. The high seas support major categories of vital ecosystem services such as air purification, waste treatment, carbon capture and storage, tourism and recreation. But its ability to provide these services is being compromised as rising temperatures have reduced its oxygen-carrying capacity, while the increasing uptake of carbon dioxide is causing ocean acidification. The high seas are facing a cycle of declining ecosystem health and productivity. “It is our joint responsibility to act urgently and decisively to reverse the decline of this immense global commons. Failure to do so would be an unforgivable betrayal of current and future generations,” the report says.